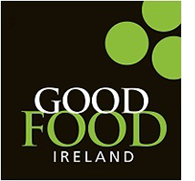 This document sets out the terms and conditions between Good Food Ireland and you when you purchase a ticket or register for any event or conference organised by Good Food Ireland or participate in any survey of Good Food Ireland’s. By purchasing a ticket or registering for an event or conference organised by Good Food Ireland or participating in a survey you are agreeing to comply with and be bound by these terms and conditions. You should read this document carefully. Good Food Ireland reserves the right to change these terms and conditions at any time. Any amended terms and conditions will be posted on this website. Applicable from August 31, 2016.
touRRoir is being organised by Good Food Ireland,a wholly Irish-owned company, which is in the main business the promotion of food tourism across the island of Ireland. I hereby give my consent for the mandatory and voluntary data collected from me in the course of purchasing and or registering for tickets sold by Good Food Ireland (and/or other group companies). I further give my permission for my user account details to be stored. I acknowledge that I may provide Good Food Ireland a reasonable timeframe to remove my details at any time that I no longer wish them to be stored. I acknowledge and accept that my data will be used for commercial purposes in accordance with this Data Protection Policy and Declaration of Consent and will be retained and stored for this purpose. Should you wish your data to be removed you must request Good Food Ireland to do so in writing. Requests will be processed within a 30-day period.Requests can be emailed to info@tourroir.com or addressed to: The Office Manager, Good Food Ireland, Ballykelly House, Drinagh, Wexford, Ireland. I hereby give my consent for Good Food Ireland to store any voluntary information I may provide in the course of participating in an online survey. I acknowledge and accept that my data will be used for commercial purposes in accordance with this Data Protection Policy and Declaration of Consent and will be retained and stored for this purpose. complimentary admission ticket. I further give my consent for the voluntary data provided. I acknowledge and accept that my data will be used for commercial purposes in accordance with this Data Protection Policy and Declaration of Consent and will be retained and stored for this purpose. 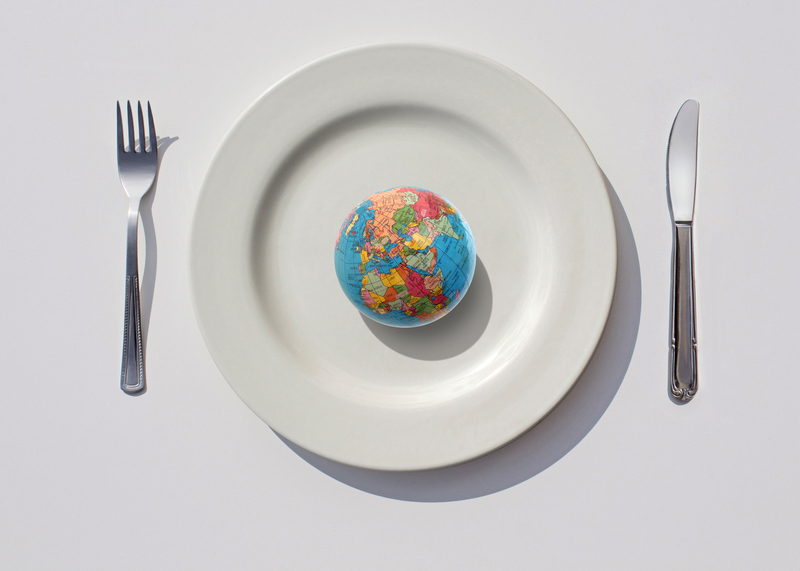 I acknowledge that Good Food Ireland will not provide transport or travel expenses to or from any event or conference. as well as the date of the ticket registration. advertising communications to me on relevant topics and products in connection with Good Food Ireland or subsidiary events and promotions. If I have provided my mobile telephone number I consent to Good Food Ireland or subsidiary companies to contact me by SMS in relation to events for which I am purchasing a ticket or registering an expression of interest. Accordingly, I give my consent for Good Food Ireland (and subsidiaries) to collect data relating to me personally from public domain sources and to store these along with my personal data that are already under the control of Good Food Ireland (and subsidiaries). I give my consent for Good Food Ireland (and subsidiaries) to analyse this newly collected data together with the data already under their control and to use the same for the purpose of targeted advertising communications to me on relevant topics and products in connection with trade fairs and/or exhibitors of interest. your personal data as outlined in this Privacy Statement. If you contact us we may keep a record of that correspondence.Information we receive from credit reference and fraud detection agencies or other third parties we may use to verify your information. We may ask you to complete surveys for research purposes, although you do not have to respond to them. You have a right to be given a copy of any of your personal data held by Good Food Ireland in accordance with section 4 of the Data Protection Acts subject to certain exceptions. Requests for a copy of your personal data can be emailed to info@tourroir.com or addressed to: The Office Manager, Good Food Ireland, Ballykelly House, Drinagh, Wexford. Ireland. Please note that Good Food Ireland is not required to rectify or erase your data where doing so would prevent you from meeting your contractual obligations to Good Food Ireland or where Good Food Ireland is required to process (including retaining) your personal data for a lawful purpose in accordance with the Data Protection Acts. In the event of any conflict between these terms and the provisions of the Data Protection Acts, the Data Protection Acts shall prevail. The security of your Personal Information is important to us. However, no method of transmission over the Internet, or method of electronic storage, is 100% secure. Therefore, while we strive to use commercially acceptable means to protect your Personal Information, Good Food Ireland cannot guarantee its absolute security and cannot accept any liability where the security of your Personal Information is compromised. The security of your personal information is important to us. When you enter sensitive information (such as credit card number) on our registration or order forms, we encrypt that information using secure socket layer technology (TLS/SSL). Good Food Ireland reserves the right to modify this Data Protection Policy and Declaration of Consent at any time. Any changes will be posted on our homepage and other places we deem appropriate so that you are aware of the changes. All purchases of tickets for conferences and events are non-refundable in their entirety, after the 20th of March 2018. Any Refund processed prior to the 20th of March 2018 will result in a 50% refund of your ticket. Your ticket remains the property of Good Food Ireland and is a personal revocable license, which may be withdrawn, and admission refused at any time upon a refund of the printed registration price.In the unlikely event of cancellation of a conference or event, the liability of Good Food Ireland is limited to the share of paid registration fees that remains after credit card and payment processing fees have been incurred and deducted.It is strictly forbidden for any company, organisation or attendee to attempt to host or organise any event in conjunction with, contiguous to or purporting to be related to touRRoir or its affiliates without the express prior permission and co-operation of Good Food Ireland. In the event of breach of these terms any tickets purchased will be rendered null and void. Good Food Ireland reserves their right to take such legal action including a claim for damages as may be appropriate.The tickets purchased (including hotel rooms if applicable) are for your own personal use or that of your business only and may not be re-sold or transferred for commercial gain under any circumstances, including but not limited to use as part of any promotion or competition. Where there has been any re-sale or attempted re-sale of any tickets (or any other breach of this term), we reserve the right to cancel the relevant tickets with immediate effect.We reserve the right to cancel any ticket purchase made by any person or body whom we reasonably believe to be associated with any ticket broker or tout. Good Food Ireland reserves the right to refuse admission to any event or conference for any behaviour, which it deems unacceptable, or for breach of the terms and conditions. Good Food Ireland will not be responsible for any tickets that are lost or stolen. The unauthorised use of photographic and recording equipment at events and conferences is prohibited. You consent to film and sound recording as attendees at any event or conference. Good Food Ireland will not be liable for the granting of any visas that are required to attend any event or conference. In the event that an attendee’s visa is not granted tickets will not be refunded for any event or conference.Name changes will be facilitated free of charge. No name changes will be facilitated 7 days prior to the commencement of the event and the ticket price will be forfeited.For questions about registration or assistance with any registration problems, please contact us at info@tourroir.comIn the event that the purchaser is a consumer and to whom the European Directive on Consumer Rights (Directive 2011 / 83/ EU) applies, the consumer would be entitled to a cooling off period of fourteen days which would begin on the day the contract for distance selling was concluded. Good Food Ireland is not responsible for any loss or damage as a result of a substitution, alteration, cancellation or postponement of an event. Good Food Ireland shall assume no liability whatsoever in the circumstances that an event is cancelled, rescheduled or postponed due to a fortuitous event, Act of God, unforeseen occurrence or any other event that renders performance of an event impracticable, illegal or impossible. For purposes of this clause, a fortuitous event shall include, but not be limited to: war, fire, labour strike, extreme weather or other emergency.Please note that while speakers and topics are confirmed at the time of publishing, circumstances beyond the control of the organisers may necessitate substitutions, alterations or cancellations of the speakers and/or topics. As such, Good Food Ireland reserves the right to alter or modify the advertised speakers and/or topics if necessary without any liability to you whatsoever. Any substitutions or alterations will be updated on our web page as soon as possible. Once a successful purchase transaction has been completed, tickets are delivered in electronic soft-copy via email to the email address nominated by the purchaser. For some ticket types it may be necessary to complete required information such as attendee name or tax identification number or supply valid student ID before the tickets can be issued. The ticket acts as a receipt for the transaction and can be used to redeem entry at the event listed on the ticket. A printed hard-copy ticket or an electronic soft-copy ticket detailing the reference number can be used to register at the event. Irish law governs these terms and conditions and any dispute is subject to the exclusive jurisdiction of the Irish Courts. included herein and you agree that you shall have no remedy in respect of any misrepresentation which has not become a part of these terms. However, nothing in these terms purport to exclude liability for any fraudulent statement or act. the website for its intended use. the Terms have been changed. If you do not agree to any change to the Terms then you must immediately stop using the website; and/ or complaints relating to the website and take any action that we deem appropriate (which may include, but is not limited to, issuing warnings, suspending, terminating or attaching conditions to your access and/or removing any materials from the website). Whilst we will use reasonable endeavours to verify the accuracy of any information we place on the website, we make no warranties, whether express or implied in relation to its accuracy.The website is provided on an ‘as is’ and ‘as available’ basis for your information and personal use only without any representation orendorsement. Unless specified in separate terms and conditions relating to a particular product or service, we make no warranties of any kind, whether express or implied, in relation to the website, or products or services offered on the website whether by us or on our behalf (including free software downloads) including but not limited to, implied warranties of satisfactory quality, fitness for a particular purpose, non-infringement, compatibility, security, accuracy, condition or completeness, or any implied warranty arising from course of dealing or usage or trade. You acknowledge that we cannot guarantee and therefore shall not be in any way responsible for the security or privacy of the website and any information provided to or taken from the website by you. You acknowledge and agree that all copyright, trademarks and all other intellectual property rights in all material or content contained within the website shall remain at all times owned by us or our licensors. You are permitted to use this material only as expressly authorised by us.We reserve all rights not expressly granted in and to the website and the content on the website.